Well Christmas is past and the New Year is almost upon us. Just before the start of the festive season the PRs seem to go into overdrive and offers of review samples tumbled into my inbox like Christmas cards popping through my letterbox. 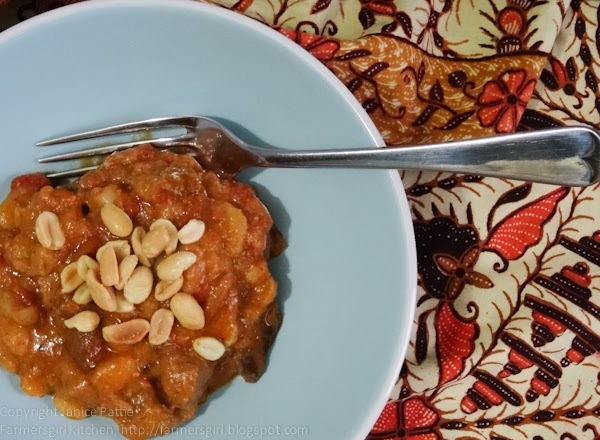 I don't accept all the offers that are made, but try to choose products which are good quality and that I would be happy to share with my family and friends at my table as well as with you, dear readers, on Farmersgirl Kitchen Table. We've been enjoying Whole Earth Crunchy Peanut Butter for many years, Mr Farmer is particularly fond of peanutty things. The difference between the Whole Earth Peanut butter and the emulsified, trans-fat versions is marked and once you have tried it you won't go back. 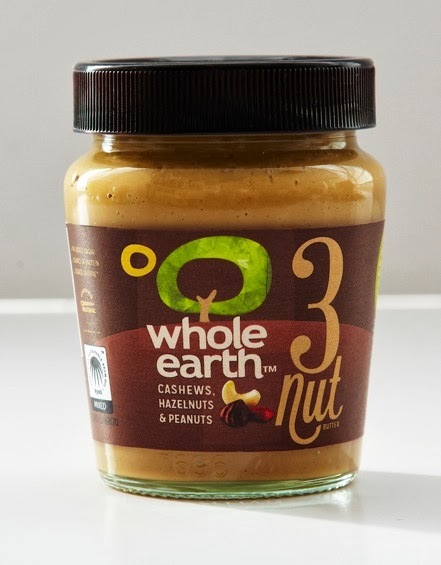 There's a new nut butter from Whole Earth, it's 3 Nut and contains Cashews, Hazelnuts and Peanuts. It's got no added sugar and is suitable for vegetarians and vegans. This 3 Nut Butter makes a really nice change and is great for breakfast, lunch or dinner! As Whole Earth Foods also sent me some of their Peanut Butter too, I thought I'd use some in a recipe. This isn't the most attractive of dishes, but it tasted pretty good, and was even better the next day. I found this recipe for African Beef and Peanut Stew at The Kitchn. The Qbag is perfect for this time of year when time is short and there is a lot of roasting going on! Qbags are designed to be used on the barbeque to contain foods that might otherwise fall apart, they also have the huge advantage of keeping the food really moist and juicy as well as not making a mess of your grill or oven. I don't own a barbeque and we don't have the weather for outside cooking just now anyhow. So I cooked some minute steak with onions and stock inside one of the bags. Minute steak can be quite tough to eat, it's cut thin and doesn't have a lot of fat, so only needs a short time in the frying pan. However you can also braise it and it will be very tender. I simply browned the minute steaks in a little oil, then added the sliced onions and browned them too. 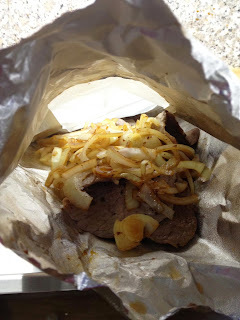 I added a beef stock cube to about 100ml of boiling water until dissolved, then added to the steak and onions in the bag. Then you simply scrunch up the foil part of the bag and place on a tray in the oven. I cooked this for about 30 minutes checking through the handy clear window to see how it was doing. You can even peel back the window to add ingredients or give your food a bit of a mix up if needed. We really enjoyed the steak cooked in this way and it certainly saved on the washing up! Qbags were available from the online shop, but this closed on 20th November. Going forward, Qbag are partnering with trusted brands to get our products into your local shops. Look out for BacoFoil EasyCook Foil Bags in ASDA and Sainsbury's and buy 5 bags for £2.99. are very good indeed. There is a whole range of different flavours, but so far I've only tried the 97% pork sausages. What I can say is that they really taste of meat and are well seasoned with no artificial taste at all, they are also gluten free. I'm looking forward to trying the Pork and Apple and Chorizo Style sausages and will report back to you when I do. Heck Food is a small family run business, farming and making sausages from pork shoulder. The quality shines through. Well worth trying. 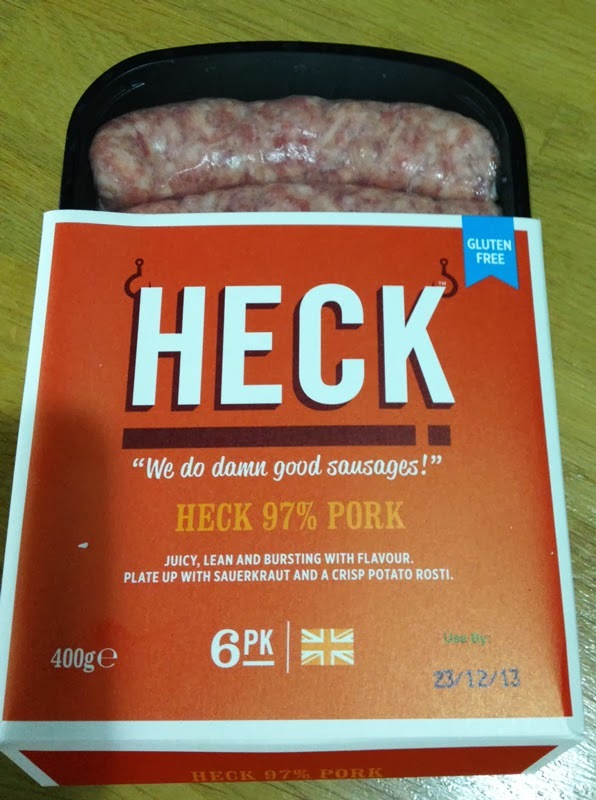 Heck sausages are available at many supermarkets for around £2.98 for 400g. 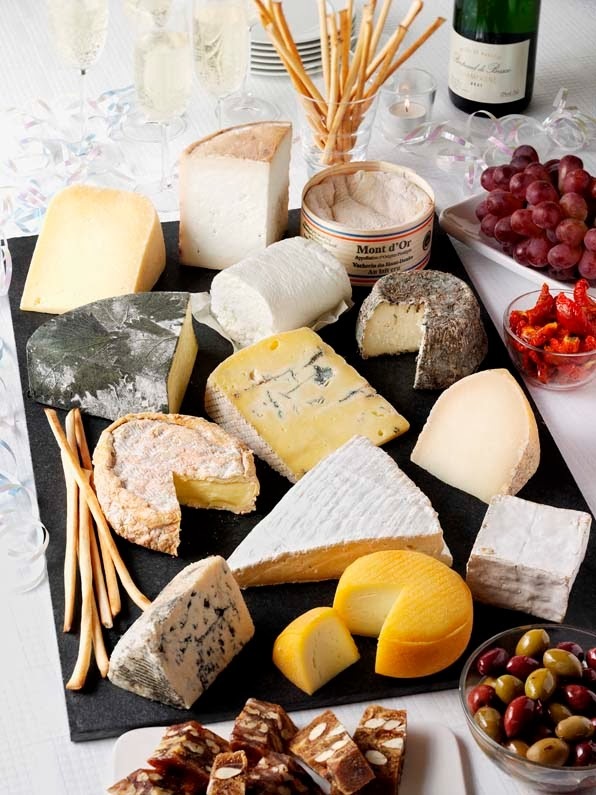 Cheese is perfect for snacking, quick lunches and suppers or as part of a cheeseboard after a celebratory meal. This year, why not bring some originality and flair to the table and wow your guests with an innovative cheeseboard. Instead of the usual cheese pairings of quince jelly, pineapple, a salty cracker and the odd decorative grape, Castello has created more inspiring combinations based on molecular science. Molecular pairing is the idea that foods which share the same prominent flavour compounds are likely to taste and smell balanced when eaten together. 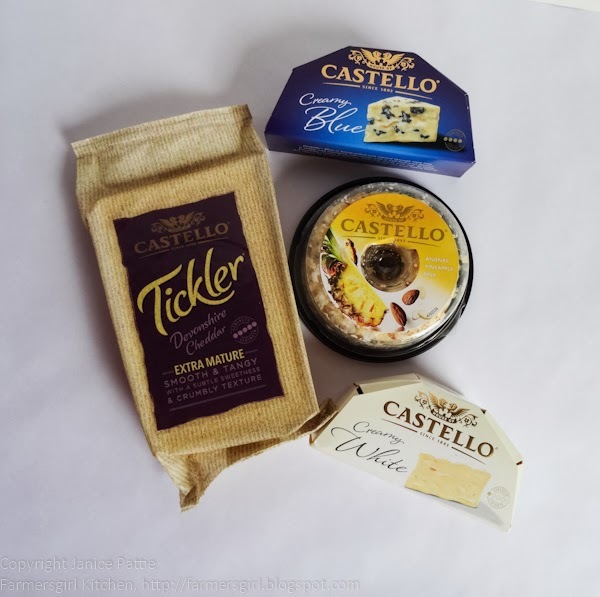 With this in mind, Castello, a range of specialty cheeses, have actually had the molecular basis of four of their cheeses analysed, resulting in new and unexpected flavour concepts. Castello cheeses are available from major supermarkets. It's always tricky finding really good non-alcoholic drinks to offer your designated drivers or others who prefer not to drink alcohol. Cawston Press have been making quality pressed apple juice since 1986 and the range now includes eight award-winning, beautifully-balanced blends. The sparkling juices are gloriously fruity and not too sweet, they would be great to include in a mocktail. 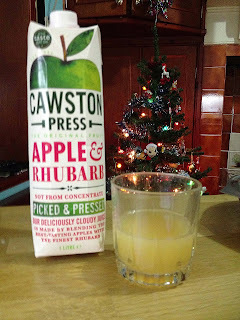 The Apple and Rhubarb blend was a real revelation, I don't think I've ever bought a drink with rhubarb in it before and I loved that sharp/sweet combination of apple and rhubarb. I can really recommend this juice. 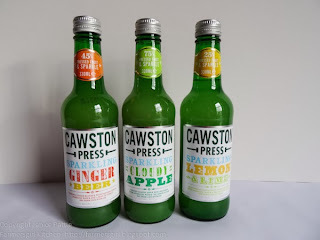 Three of the Cawston Press sparkling drinks have been awarded prestigious Great Taste gold medals. It’s no mean feat – Great Taste is the world’s largest and most rigorous food awards scheme, involving over 400 judges and thousands of hours of blind tasting. Here’s some of the judges’ comments about the gold medal winners. The word ‘lovely’ keeps cropping up! The range of sparkling drinks are available from selected Tesco, Waitrose stores and online via Ocado. End a dinner party in style this festive season and earn yourself a reputation for creating a truly memorable cheeseboard with the help of Port Salut and cheese expert Juliet Harbutt. Here’s her top ten tips for pulling together a show-stopping centre piece. • Stilton is just one of 90 British blue cheeses on the market Box-out: Visit the Port Salut website at www.portsalut.co.uk for Juliet’s downloadable cheese guide, listing all her cheese recommendations for the perfect dinner party cheese board. And finally, it's time to sit back and relax with the lovely Feel Good Food magazine from Woman and Home. 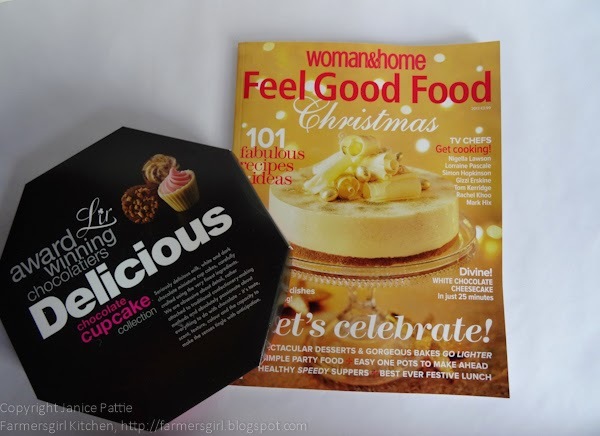 I'm a bit of a magazine addict and love these themed food magazines from Woman and Home. The award winning Lir cupcake chocolates were perfect to savour while reading about food! I was not paid to review any of these products, but was supplied with samples for review. All opinions are my own. 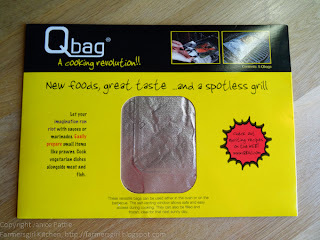 Thank you Farmersgirl Kitchen for your review of our unique and versatile Qbag Alu Foil Cooking Bag! 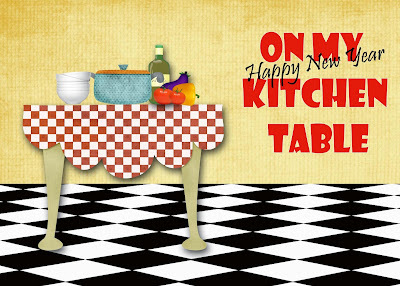 We hope you enjoy cooking with your Qbag samples. Please let us know which other dishes you try via our Twitter. We love to see what delicious meals our friends can come up with!